Get your students thinking with Socrative! Need to engage your students during lectures? Like having instantaneous feedback on student learning? Trying to find a way to incorporate technology or to complete with student’s PED’s? If you answered yes to any of these questions, you have to check out Socrative! 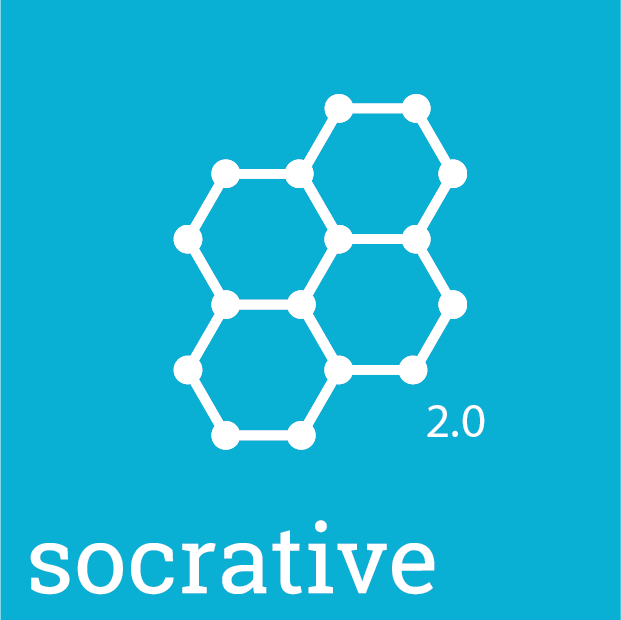 Socrative is an app available on your computer, tablet or cell phone. 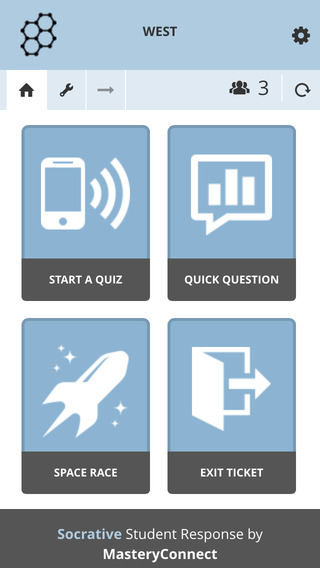 Teachers can create quizzes and deploy them to students. Students complete the quizzes and the data is sent to the teacher in real-time. Results can be viewed, shared and even downloaded; making data collection a breeze! 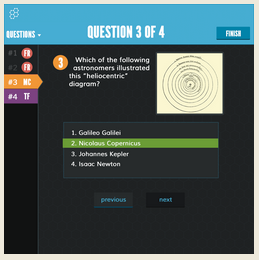 You can create quizzes with true/false, multiple choice or short answer questions. Need to include images? No problem! 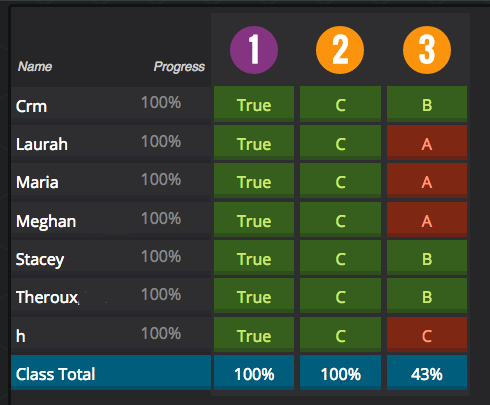 Socrative allows you to embed images right in the question. 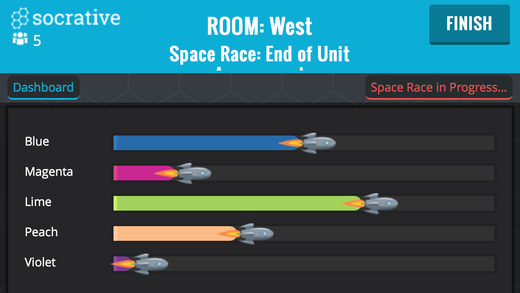 You can even turn the quizzes into group competitions called space races to further student collaboration. There is also a generic exit ticket option for general understanding and lingering questions. Come to our next Appy Hour on Friday, August 7th at the Faculty & Staff Resource Center on the Annandale Campus in room CG 206 if you are interested in learning more about Socrative and how you can use it in your classes! Take Your Apps in a Flash! Ever wish you could take all of your favorite apps with you from one computer to another? Maybe you’re out of town or don’t own a personal computer. Now you can always have your desktop in reach with free software from PortableApps.com. The PortableApps platform has over 300 free apps that you can take with you wherever you go by storing them locally or on a portable device like a flash drive. Once you download the PortableApps interface, You will quickly and easily be able to add apps, pictures and documents to the platform. Then, you can take them with you wherever you go! PortableApps has a library of open software including Chrome, Skype, Audacity, Mozilla, KeePass, McAfee, Fotografix and more for you to choose from. 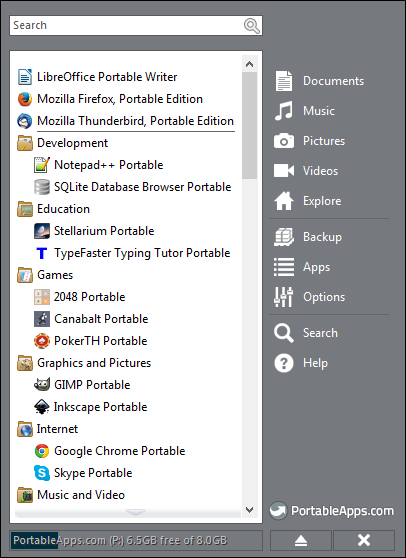 Loading the PortableApps interface on different computer is as simple as downloading the PortableApp platform from the Cloud or external hard drive. You can even update or add apps from any computer with the app store embedded into the platform. The userface is entirely customizable, from the organizational layout to colors and fonts; you can make the platform work just for you! For more information check out DotTechs review! 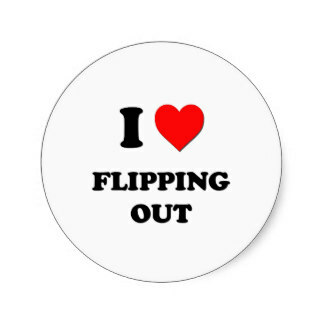 I’m sure by know we’ve all heard of the latest trend in student-centered learning, flipping. Flipping the class means that you have students access the lecture portion of the class at home and in class you work on extending the knowledge. Think of it in terms of the Bloom’s Taxonomy model. Students would do the lower level work of remembering, understanding and applying new information at home. And then, in class, students would complete the higher level learning of analyzing, evaluating and creating using the new information. This flipped model of traditional classroom instruction enables learners to have more teacher support and peer collaboration when doing the heavy lifting of learning. 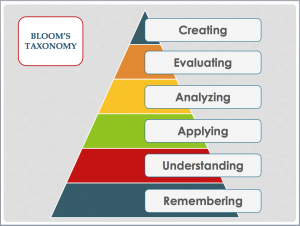 Higher order thinking skills are a must in the workplace. Employers expect employees to be problem solvers, creative thinkers, collaborators and more. Flipping the classroom helps students develop the skills they need to be successful in the workplace by giving them a safe, supported environment to make mistakes and learn by doing. There are many instructional technologies out there to help you flip your class when you’re ready to transform the way your students learn. 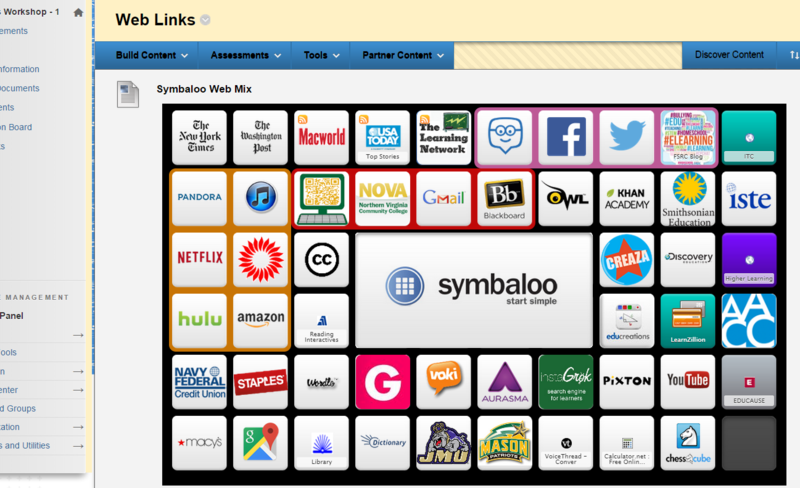 EduCanon and OfficeMix are two tools that work with Blackboard that can help you get started! EduCanon allows you to take a video published online and create an interactive user experience by embedding questions into the timeline. You can borrow a video or use your own! The free version allows you to create multiple choice, select all that apply and reflective pause checkpoints. You can use your VCCS Gmail account to login and it will keep track and monitor student responses. The entire process only takes minutes! Check out the Bulb below. OfficeMix is a free PowerPoint add-on that allows you to voice-over and annotate your slides. You can even include short quizzes on each slide that students can answer and a way to self-check their learning. You’re able to sign on with your VCCS Gmail account and can publish a video or create an embed able mix. All of your mixes are stored on a cloud, so you can access them anywhere. Check out the mix below. Augmented reality isn’t just what happens when you indulge a little too much. It’s the latest trend in instructional technology! You can now take a static picture and have it turn into video before your eyes without the help of hallucinogens! All you need is a smart phone, tablet or computer and the Aurasma App! Aurasma uses trigger images to automatically link to and play a video or as Aurasma likes to call them auras. They’re kind of like QR Codes, but better! So, I bet your thinking this sounds cool, but how could I use it in my class? Well, luckily for you, I have come up with some great instructional uses. A few weeks ago I was sitting in on an Trigonometry class. The instructor was reviewing the previous assignment. He worked out all of the problems that students had questions about on the board. The students who asked the question were engaged. The others were just on their phone or daydreaming until it was their turn. At least 40 minutes of class time was gone and not all the students were actively engaged. Seems like a lot of time wasted! What if the professor recorded himself working out the problems and then posted the trigger images around the room. He could then direct students to locate the problem they needed clarification on and watch the video. All the students would be able to get the review they needed and this would free up the professor to work with individuals or small groups of students that need additional assistance. Seems like a win-win for everyone involved. I know what your thinking. When will the professor have the time to record all of the videos? And I get it. I understand the grind. You have to think of it this way. Once you record the video, you’ll have it for all future classes. Not only can you use it for Aurasma, you can embed it into Blackboard too! With a little upfront time, you will be able to use your time more wisely in the future. Auras could work for any type of class. I can envision it working in the lab setting to review safety procedures or directions. Or in language classes to master the basics. The Ted Talk below gives an excellent example of how it can be used in history and art class. Check it out for yourself! And remember, if you need assistance with incorporating instructional technology into your class, The Annandale FSRC in CG 206 is here to help! How Can I Engage My Students? Student engagement is the key to the student’s success! Gone are the days of having the students sit quietly in class taking notes and memorizing long lectures. Millennials want to explore and apply what they are learning in a risk-free supportive environment that aids growth and deep understanding. Having students demonstrate their understanding is an important part of this process. Millennial’s grew up in technology rich environments. They embrace multimedia and want to share their creativity in a multitude of formats that not only express their knowledge, but their personality as well! Luckily, there are many instructional technologies out there to help you reach your students and keep them actively engaged. One such tool is called Glogster! Glogster is a web-based presentation tool that allows you to create interactive stand-alone presentations that are great for hybrid and online courses. You can customize a presentation with text, graphics, video, and audio that can be shared with anyone, anywhere. Check out my Glog and then give it a try for yourself at our next Make & Take on Friday, June 5th. Ever wished you had a portable whiteboard to capture all of your epic ideas? Educreations is a whiteboard app for your iPad that allows you to record and share all of your mental masterpieces. You can work out a math problem, diagram an image, make a route on a map! The uses are endless. Check it out at https://www.educreations.com/. Ok, so before I start discussing the app, I would like to apologize for my lack of posts for the last couple of months. No real excuse other than I’m just not very good at this and need to get better! Well, in honor of Hector’s birthday today (Happy Birthday Hector!!!) I am making a new post, and a promise to post a little more often from now on (I’ll try). SO on that note, let’s begin…. Today I have for you, a fun and possibly useful app called Zello. Zello is an app that simulates a two-way walkie talkie. Download the app, create an account, and encourage your family and friends to do the same. Zello keeps a history of your conversations, and you can replay the messages. You can also create groups and set up a “party-line” to include as many people in the conversation as you want. Pretty nifty if you ask me. Zello is available for Android, iOS, Windows Phone, and Blackberry. Zello can also be accessed from a Windows PC if you go to www.zello.com. So we all know how much of a struggle it is getting students to pay attention to the lesson and not to their smartphones. Well, why not incorporate their smartphones into the lesson! 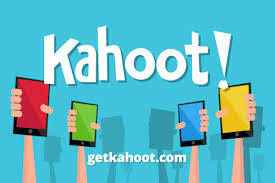 Kahoot is a game-based blended learning and classroom response system. Create a free account and build quizzes, surveys, and discussions that your students can access and take part in right there in the classroom.